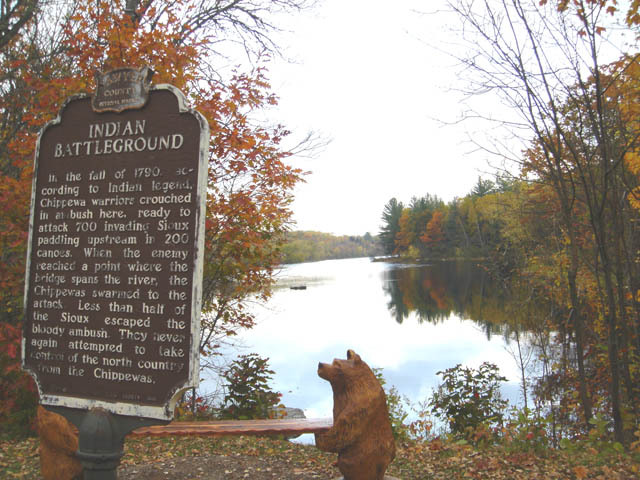 Located corner of Sawyer county rd S and North Moose lake Rd on Teal river Coordinates Lat N 46:01':765" Lon W 91:05':507"
In the fall of 1790 according to Indian legend, Chippewa warriors crouched in ambush here, ready to attack 700 invading Sioux paddling upstream in 200 canoes. 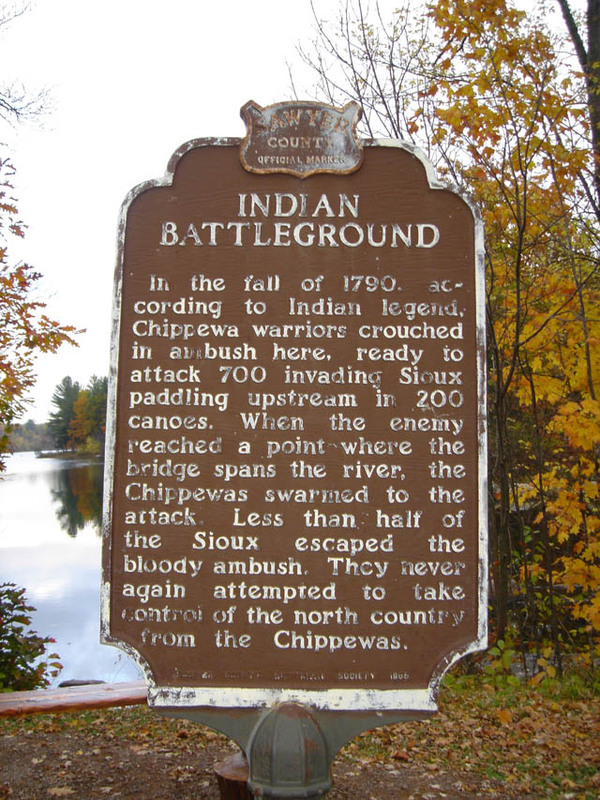 When the enemy reached a point where the bridge spans the river, the Chippewa swarmed to the attack. Less than half the Sioux escaped the bloody ambush. They never again attempted to take control of the north country from the Chippewas.